The 35th annual Taste of the Town Santa Barbara, benefiting the Arthritis Foundation, was held again in the beautiful setting of Riviera Park Gardens overlooking the city of Santa Barbara. 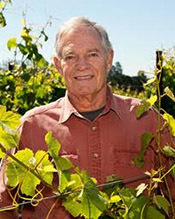 Returning to Co-Chair this Santa Barbara tradition were opal Restaurant & Bar co-owners, Tina Takaya and Richard Yates. 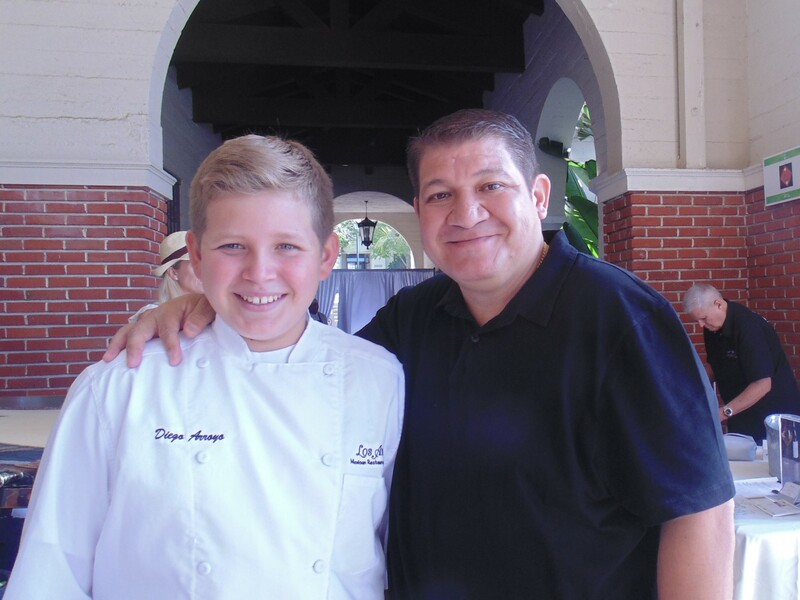 This year, Taste of the Town featured three Honorary Lead Chefs including Bacara Resort & Spa�s Executive Chef Vincent Lesage, who recently opened the beautiful new restaurant Angel Oak at Bacara; in addition to Patrice Martineau, Executive Chef at Montage Beverly Hills and Chef Johan Denizot, Executive Chef at the Belmond El Encanto Santa Barbara collaborated for the one of a kind culinary experience. 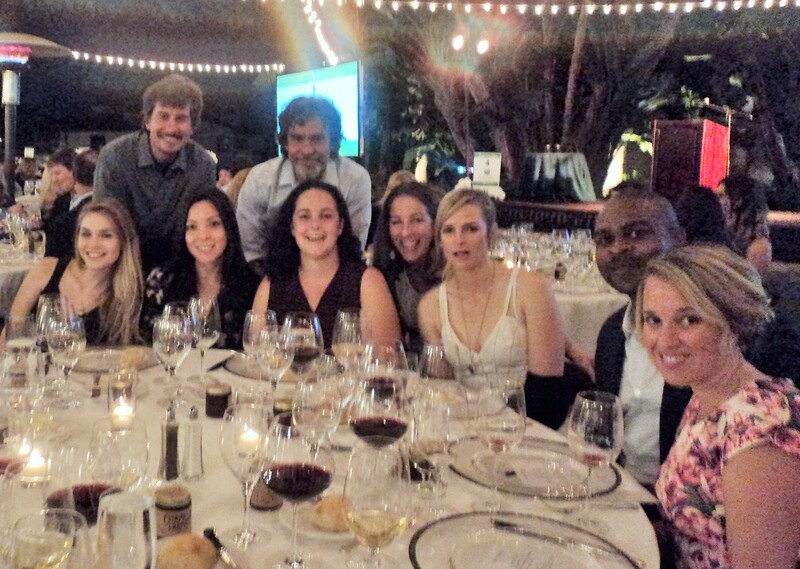 Each chef and his team designed a course as part of a spectacular menu for event sponsors and their guests at the unique Connoisseurs� Circle at Bacara Resort & Spa. Now in its eighth year. This years dinner included table sponsor Jerry Jordano, Central Coast Home Health, Inc. & staff who reveled in the gourmet presentation and entertaining program directed by emcee CJ Ward, KEYT3. The 35th Anniversary Taste of the Town Arthritis Foundation Event at Riviera Park Garden was a slice of gourmand heaven for happy attendees who sampled tastes from a collection of Santa Barbara's finest restaurateurs, caterers and vintners. Tony Arroyo and is son Diego were offering the best in Los Arroyos Mexican flavors, while Ca Dario, Opal, Palace Grill, Olio e Limone, Somerset, Toma, Louie's, Chuck's Waterfront Grill,, Max's, Michael's Catering, Enterpise Fish, Catalyst Cuisine, Blush, and Cafe Primo served delicious tastes. Desserts were from Renaud's, The Berry Man, Via Maestra 42, Santa Barbara City College. 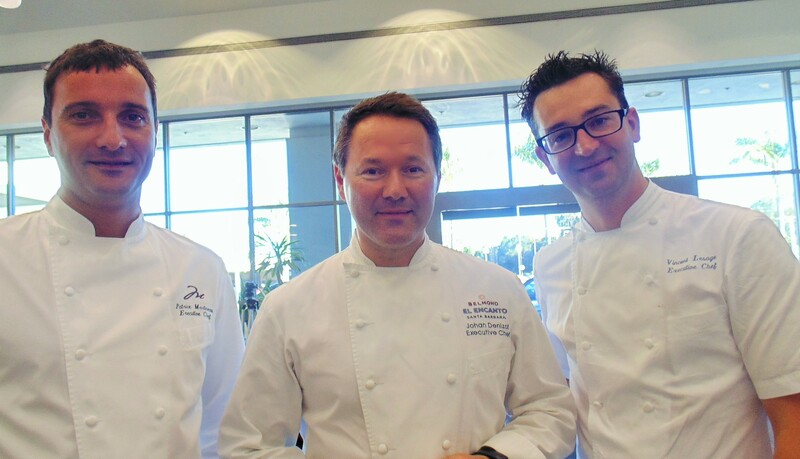 Tastes were also offered by the three event star chefs Vincent Lesage, Patrice Martineau, and Chef Johan Denizot. 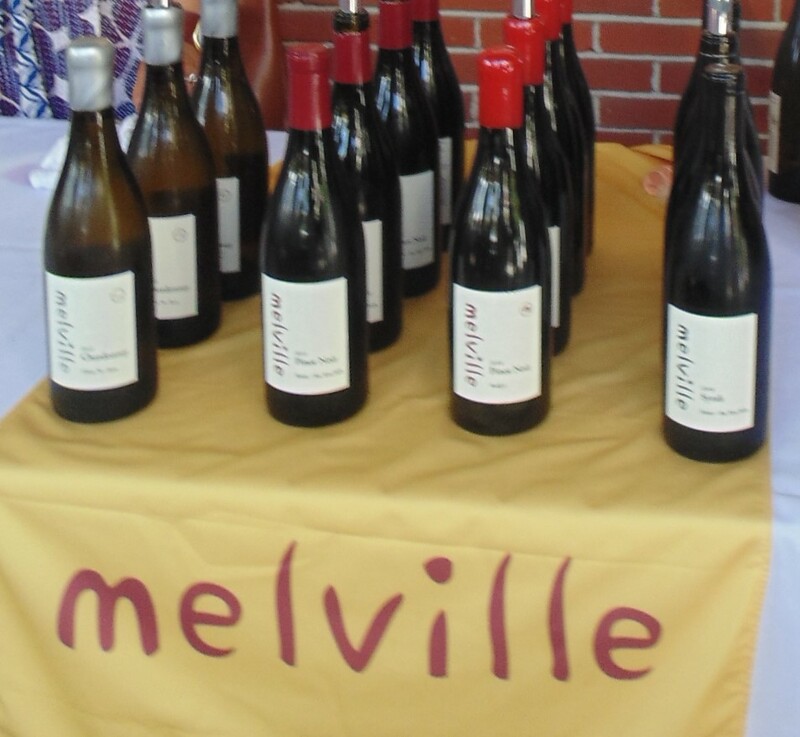 Also featured were fine wonderful sips from the area including Brander Wines, Margerum Wine Company, Melville, Mosby, Pali Wine, Presqu'le, Qupe, Refugio Ranch, Sanford Winery, Sanger Winery, SB Winery, Silver Wines, Sort This Out Cellars, Thacher Tolosa, Whitcraft Winery, Zaca Mesa, Kessler/Haak, LaFond, Lucs & Lewellen Vineyards, Alexander & Wayne, Alma Rosa, Arthur Earl, Au Bon Climat, Brewer Clifton, Caribbean Coffee, Carr Vineyards & Winery, Cebada Vineyard, Cutler's Artisan Spirits, Demetria Estate, DV8 Cellars, Figueroa Mountain Brewing, Firestone Walker, Gainey Vinyard, Geissinger Winery, Grassini Family Vineyard, island Brewing Company, Jaffurs, Jalopy, Jamie Slone Wines, and Ken Brown Wines. The perfect weather made the garden venue so enjoyable for relaxing and savoring the best food and beverages in Santa Barbara. 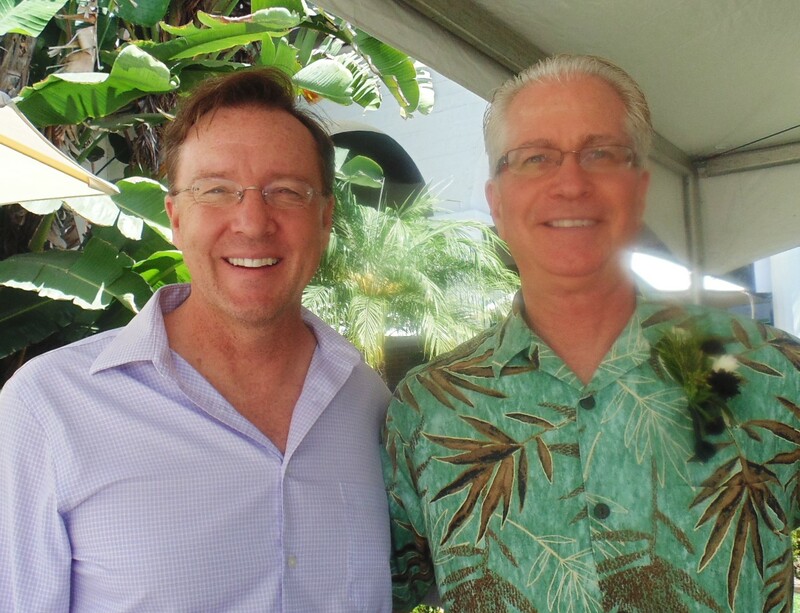 Richard Yates and emcee CJ Ward (KEYT3) were having fun talking with guests and keeping the program moving along. All proceeds from Taste of the Town support the local programs and services of the Arthritis Foundation. The Foundation is the only non-profit organization dedicated to improving the lives of 53 million people (including nearly 300,000 children) with arthritis through health education, advocacy, research, and local juvenile arthritis support. Debuting August 22nd, Hotel Caf� Royal will launch ten new cocktails in collaboration with Parfums Givenchy, celebrating L'Atelier de Givenchy fine fragrances and, in particular, the latest perfume in the collection, Iris Harmonique. All ten L'Atelier de Givenchy creations are exclusive to Harrods, and the hotel's exclusive cocktail collection will be available in the hotel's Green Bar through September 30th, priced at �15 per cocktail (approx. US20). Developed by Bar Manager Derren King, the ten cocktails have been designed to reflect the creations within the L'Atelier de Givenchy fragrance collection in keeping with the Green Bar's celebration of botanicals. Marrying the world of scents and flavors, King has worked closely with Givenchy using detailed perfume notes to create a collection of drinks that range from fresh, floral and summery concoctions, to headier, full-bodied cocktails, all paired with a selection of distinctive garnishes and glassware. Famous for the diverse history of the building and the bohemian intellectuals who notoriously frequented Caf� Royal, the Green Bar is a tribute to London's history of using botanicals in gin production and mixology, carefully crafting cocktails that celebrate the individual character of each gin, with the perfect garnish to complete the experience. For this new collaboration, each cocktail will have its own distinct color and taste, reflecting the key perfume notes which are unique to the renowned Parfums Givenchy. Highlighting the strong link between scent and taste, the new fragrances will be kept behind the bar for guests to experience before choosing their preferred cocktail from the list. The bartenders will talk through the fragrances within each cocktail, and will serve each alongside scented buttons created by Givenchy for this exclusive collaboration. Cocktails include the summery Chypre Caresse, a delicious mix of Slingsby London Dry Gin with exotic aromas of freshly squeezed grapefruit, agave syrup and Peychauds Bitters, topped with Prosecco and Maraschino; Oud Flamboyant, impressively displayed with light smoke and honeycomb, with woody nuances of Nikka Coffey Grain whisky, coconut noir iced tea, Manuka honey and flash flamed cinnamon. The latest fragrance in the collection, Iris Harmonique, is embodied by a cocktail of the same name that incorporates key elements of the perfume notes. Infusing the vodka in-house, Derren has created a refreshing concoction of coconut-infused Ketel One Vodka, kumquat liqueur and lemon zest. All cocktails are also available as alcohol-free "mocktails." Inspired by the Caf� Royal Cocktail Book compiled in 1937, the Green Bar at Hotel Caf� Royal offers a luxurious and vibrant environment for contemporary Londoners and hotel guests alike to experience a unique range of outstanding drinks, expertly fashioned with a botanical twist. For reservations, please contact the team directly at 011 44 207 406 3333 or via email at reservations@hotelcaferoyal.com. For further information please visit www.hotelcaferoyal.com and follow @hotelcaferoyal on Instagram and Twitter and Hotel Caf� Royal on Facebook. Previously the haunt of famed patrons, from royalty and celebrity, to the creative and the notorious, Caf� Royal has been an established and iconic landmark on the British capital's social scene for a century and a half. In its recent reincarnation, as a luxury hotel, Caf� Royal remains an established favorite for locals, while becoming a global destination. Located in the heart of London, with elegant Mayfair to the West and creative Soho to the East, the hotel is perfectly positioned within walking distance of London's finest shopping streets, tourist attractions and theater district. Within the hotel, grand historic areas have been sensitively restored, while 160 guestrooms and suites (including six signature suites) have been created in a contemporary yet refined style. Continuing its celebrated legacy of excellent hospitality and dining, the hotel offers a selection of restaurants and bars, including The Club at Caf� Royal and holistic wellbeing concept, Akasha. GAZOSA La Fiorenzana is aexcitingly sparkling, carbonated, non-alcoholic and vegan fizzy drink, and comes in a variety of fruity flavors. The South, the Gazosa Ticinese is a traditional beverage with modern style. Bottled in a small town near Bellinzona since 1921, Gazosa has retained its charm. 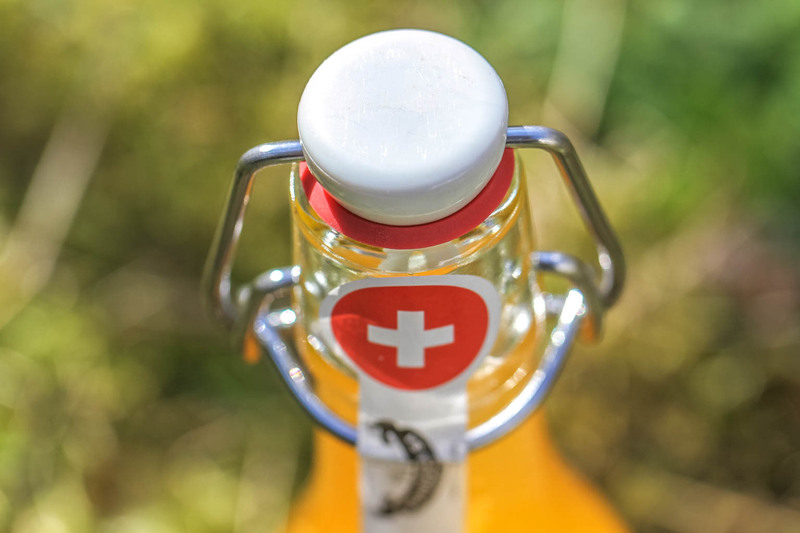 In fact, it is increasingly popular north of the Alps, and is found in all respectable bars or restaurants, where you will see a line-up of these charming glass bottles with metal lids. Flavors include anything from lemon to raspberry. But for the original taste, order "La Fiorenzana" with bitter orange flavor. Since 1921, the Ponzio-Tonna family has been crafting GAZOSA La Fiorenzana in Grono, in the Mesolcina valley in the canton of Grisons, without ever ceasing production following original family recipes. GAZOSA is named after the medieval tower-house (from the 12th century) which provides a cooling shade for the production facility located close to it. Presently, Fabrizio Ponzio manages Fabbrica Gazose in the fourth generation. When over 90 years ago, his great-grandfather began to boil spring water, sugar and aroma concentrates in huge barrels to a hot syrup, cool it down carefully, filter and carbonate it, the flip-top bottles were still bottled by hand. He went from one neighbouring village to the other and into the valleys of Ticino by horse and cart in order to bring his sweet refreshments to the people. 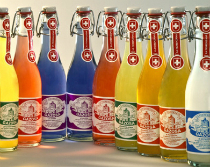 In southern Switzerland GAZOSA is known as a traditional refreshment, and for many is linked to sweet childhood and vacation memories. GAZOSA has been part of the culinary heritage of Switzerland for a long time. . Since 2015, GAZOSA La Fiorenzana has been an official member of the Swiss trademark landscape Schweizer Markenlandschaft. Genuine products don't need a trendy presentation. What makes them so special is their authenticity and their simplicity. Real craftsmanship is what stands behind GAZOSA La Fiorenzana. GAZOSA La Fiorenzana� also represents practised tradition and a family that stands for its products with its name. Shake first three ingredients together with ice. Strain into a chilled glass. Top with champagne and a grapefruit zest twist. Add all ingredients except garnish to a cocktail shaker with ice. Shake and strain into a chilled cocktail glass. Garnish with a lemon peel after expressing the natural oils over the drink and rubbing the peel around the rim of the glass.